Holly Hadley presented the Impact Monster skit at the Pine Valley Nancy Courtney Amphitheater Saturday night July 26th. This skit teaches about the impacts our actions have on the environment. 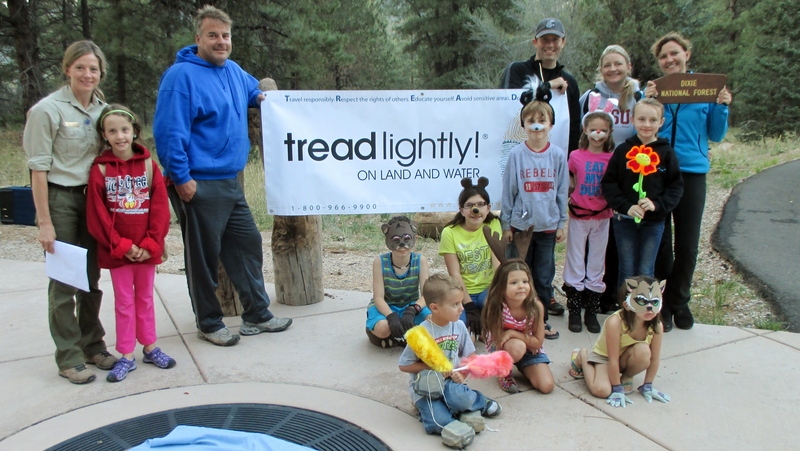 It is an interactive program that children of all ages can participate in and learn about Leave no Trace and Tread Lightly principles. Children are also taught about climate change and the importance of conserving energy, water, and reducing, reusing and recycling.